It’s true — she did do a number of “self-portraits,” using reflections in plate-glass windows, mirrors, etc. — but I don’t understand how that minor vanity detracts in any way from the bulk of her work that I’ve seen so far — or indeed if it automatically disqualifies her from membership in the pantheon of great street photographers. 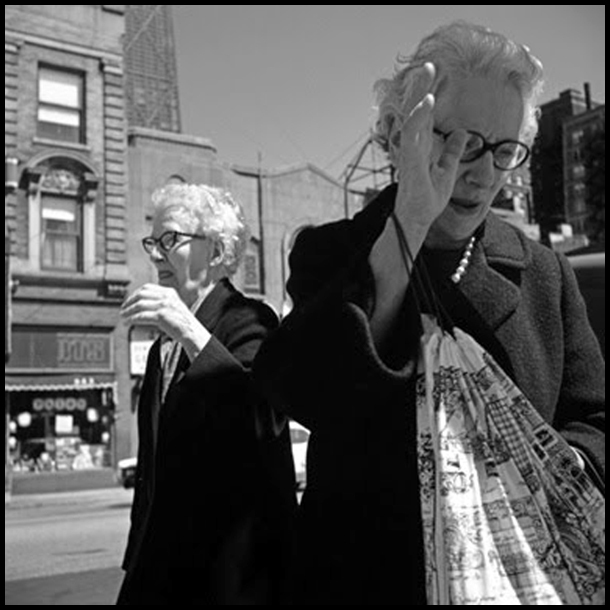 By the way, Harry Callahan was not, for the most part, a street photographer. His best works were formal, beautifully composed pictures that were anything but the kind of dynamic, grabbed-on-the-run images for which Ms. Maier is now becoming known. She may not “stand out” in the company of street photography icons, but I believe that much of her work would rest easily in a gallery show with the likes of Friedlander, Abbot and Cartier-Bresson. It takes little effort to find examples of the use of self-portraits in the work of many of the great street photographers. 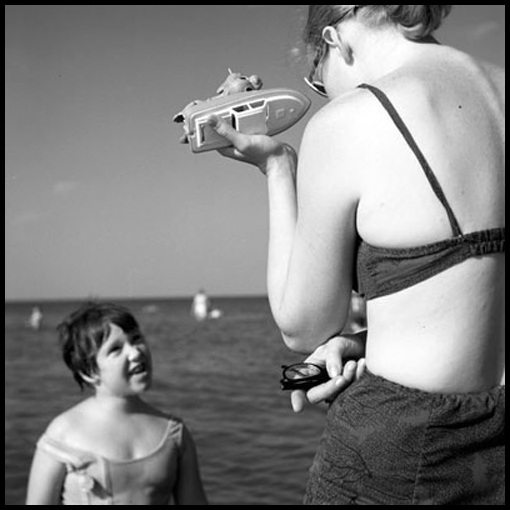 Some of them seem absolutely obsessed with their own images, far surpassing Vivian Maier’s use of the technique. And technique is all it amounts to — the self-portrait is just another category at the street photographer’s service in her/his search for images that speak to what is unique, yet common, in the lived experience of us all. Whenever possible I use the technique myself (mostly by accident) in my modest attempts to make “art” from random “found” images in the streets of Baltimore. 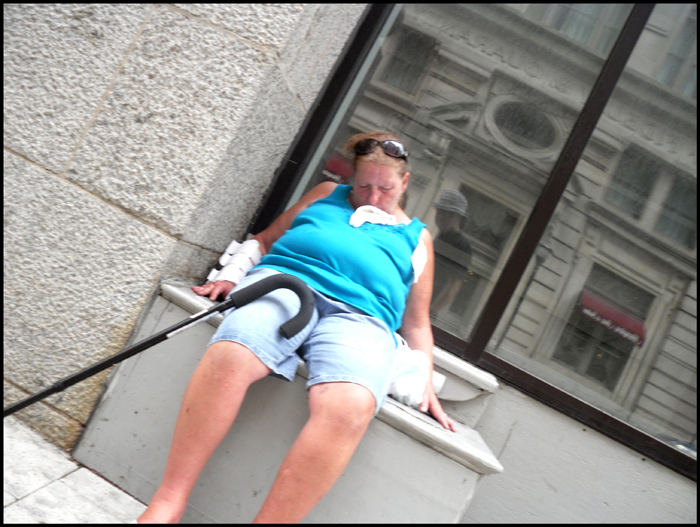 In the first example above, I noticed my reflection in the window behind the sleeping homeless lady only after I loaded my pictures onto my computer. Ditto for my shadow in the second image. My criteria for any “made” photograph, though, is that to some degree it is anticipated and arranged, composed, intended, by the person behind the camera. More importantly, is it a dynamic image? Which means, has the composition — the arrangement of elements within the frame — been taken into consideration, even if only by training, experience and instinct? And does the subject, human or otherwise, somehow express a human emotion, some subjective thing to which we can all relate? — for example, happiness, sadness, fear, humor, etc. 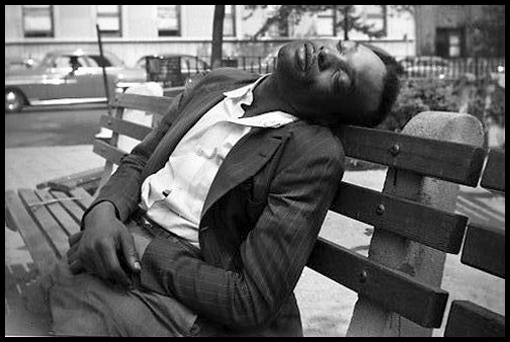 This next category of Vivian Maier’s work is one that held my own interest for sometime, too, mainly in the 1970s. 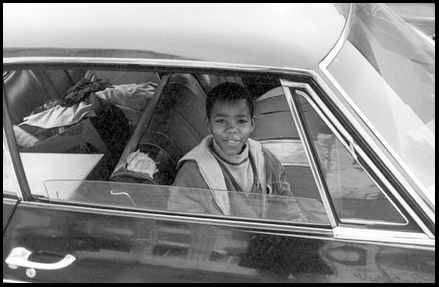 As she photographed street kids in the 1960s and 70s in Chicago, I was out around the same time, grabbing shots of what I’d come to call “free-range kids” — kids like me, who had little or no adult supervision while growing up in Baltimore. We were free to roam the endlessly interesting urban landscape almost at will. It is very unusual these days to witness this kind of freedom for kids, but it was not uncommon when I was growing up in the late 1940s and early 50s. I’ve come to think of them as “lost tribes” because they seemed to move in packs. 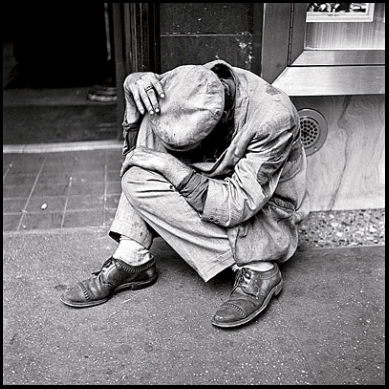 To illustrate this section I’ve selected several images by Vivian Maier and paired them with several of my own. The idea here is not to suggest that my work in any way measures up to hers, but rather to speculate that very often the sorts of emotional pulls on folks attracted to this form may have similar origins. 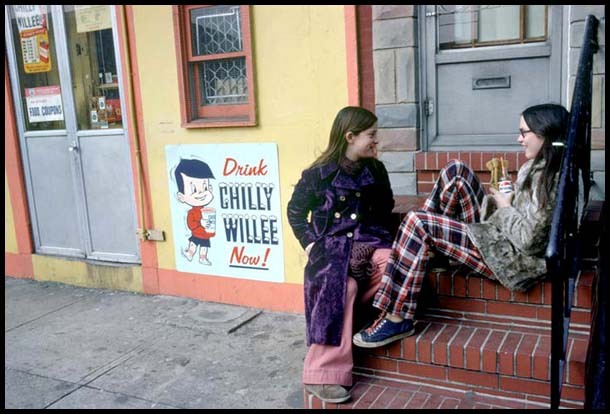 The one above is by Ms. Maier, the one just below of older girls, which I call “Chilly Willee,” is one of mine. What drove me into the streets with my 35mm camera in the 1970s, I’ve come to believe, was my memory of the lonely individuality of my childhood in the 1950s. 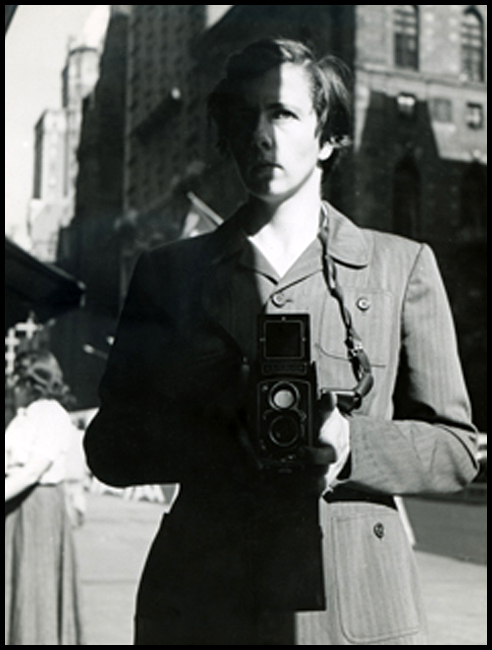 And I’m also speculating that perhaps an emotional trigger of the same sort may have been working on Vivian Maier when she walked out the door with her twin lens Rolleiflex camera to capture street life in her neighborhood and beyond. Of course, we’ll likely never what know for sure what motivated her, but whatever it was I’m grateful we have her wonderful work to think about, and perhaps also wonder why the images have such an emotional tug on those of us who love them, no matter what our own background. 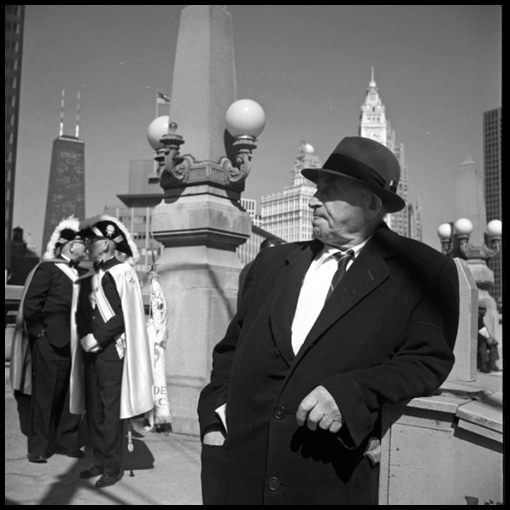 One minor quibble I have with some of Vivian Maier’s images is that she often centers her subject in the frame, as in this one. 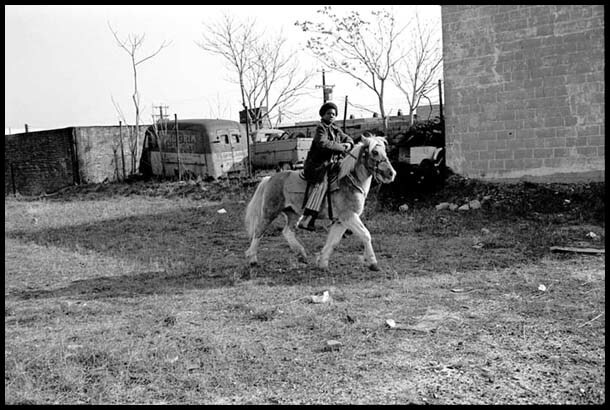 But I like the powerful horizontals, and how close she is to the horse and rider, and the overall detail and sharpness of the image captured by the large, 2-1/4″ x 2-1/4″, negative produced by her Rolleiflex camera. Actually, I’m envious. My Urban Cowboy, on the other hand, is pretty blurry . . . and much too far away . . . and, as you see, almost dead center in the frame . . . 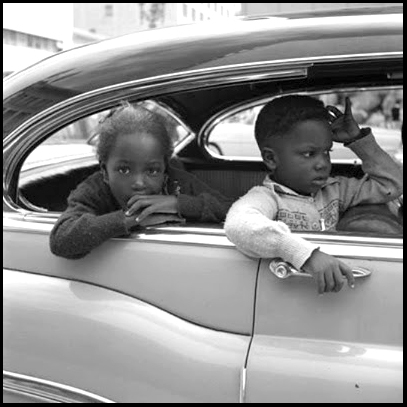 This beautiful dual portrait of two children —likely a sister and brother, or perhaps cousins — by Vivian Maier, is neatly framed by the car window. Street photographers are always on the lookout for natural frames for their subjects. And note that Ms. Maier must have had to squat to line herself up at the eye level of her subjects, something good photographers do when the subjects are children — out of respect for their point of view. Also, I really love that square format produced by her camera, the solid strength of it. 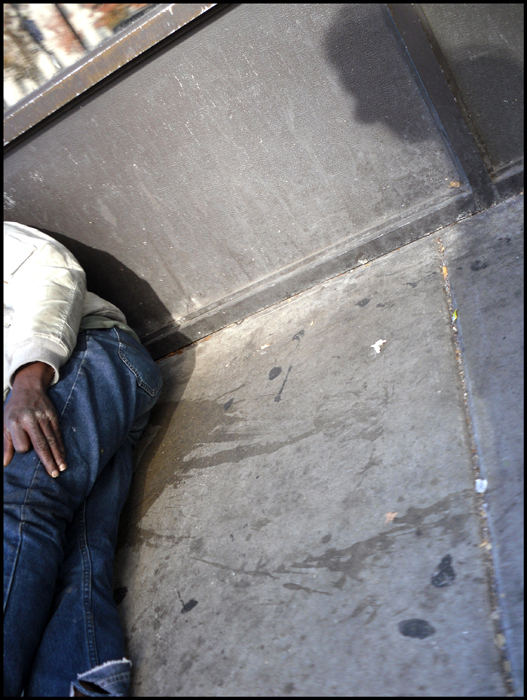 Below is similar photograph by me in the rectangular 35mm format. And notice that I shot it from a disrespectful standing position. 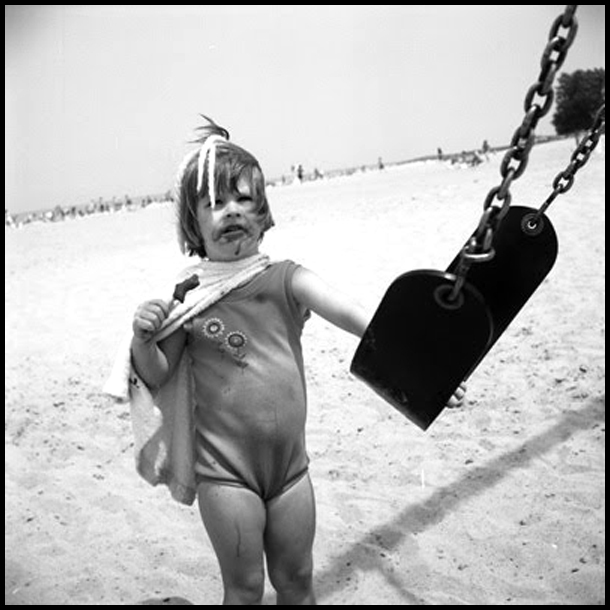 Self-taught, and not having Vivian Maier’s nanny instinct — if that’s what it is — I didn’t know any better in the 1970s . . . 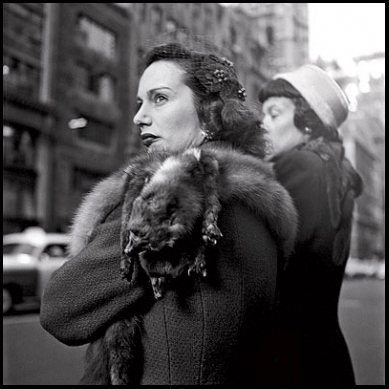 This is my favorite posed portrait by Ms. Maier — I love the hat with the interesting pattern, and the stylish coat — and especially the bemused expression of the woman, her left hand resting softly on her cheek, as she makes direct but relaxed eye contact with Vivian Maier’s camera lens. As urbane and beautifully dressed as this sophisticated woman appears — and as self-reliant — still, she calls to mind for many of us that famous Dorothea Lang image of the dirt-poor Dust Bowl mother and children taken for the WPA photography project during the worst days of the Depression. 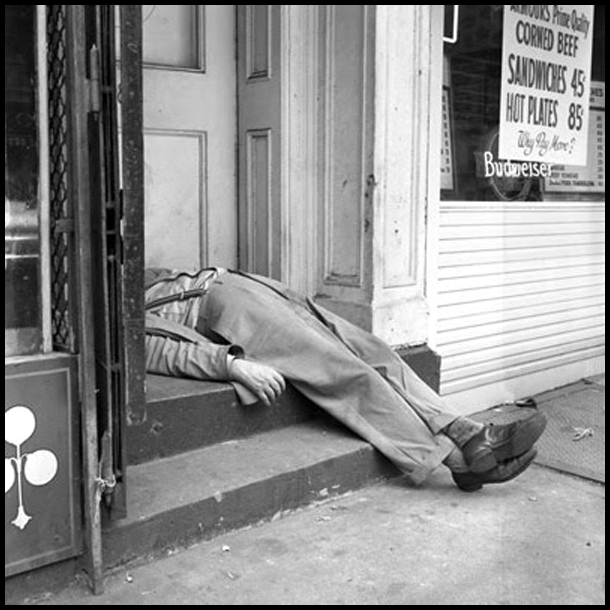 And for a small example of Vivian Maier’s penchant for visual humor/horror, note the intense (crazy?) 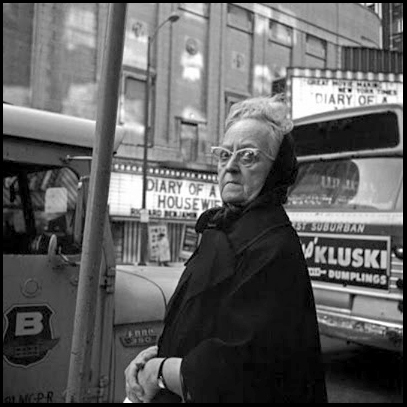 stare of the older woman standing across the street from a movie marquee announcing the 1978 film “Diary of a Mad Housewife.” And I’ll end this section with the two enigmatic images below — what are these nice ladies up to? 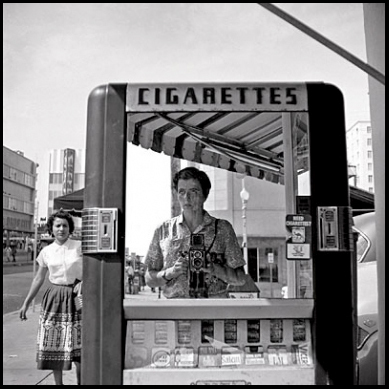 After viewing only a small sample of Vivian Maier’s large body of work, I’ve been impressed by the quality of many of the images, by the range of subjects, and by the commonality of her work with that of many other — usually famous — street photographers of her generation. Some of her best images are clearly influenced by those working the same sort of territory — but so what? In my experience, all great street photographers were smart enough to “borrow” the ideas of others and recast them in their own way. They all focus on the dynamic life to be found on urban streets, at carnivals and amusement parks, etc. — and, of course, at that special place to study the human body in all it’s near-naked permutations, the public beach. 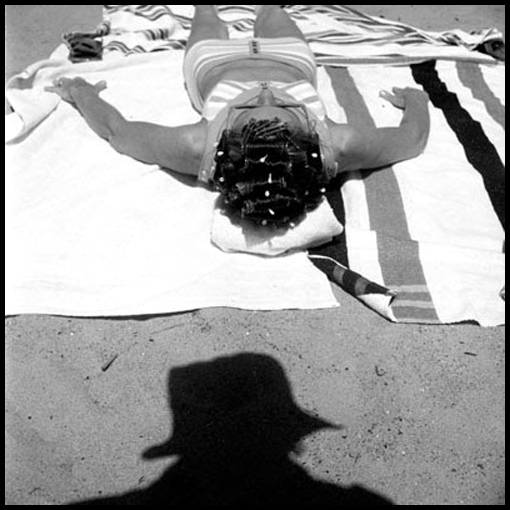 The above photograph is unusual because it manages to incorporate three of the four categories I’m talking about in this essay: Asleep in Public Spaces being the last, At the Beach, and a mysterious shadow “Self Portrait.” Asleep in public is the category that I think may set the work of Vivian Maier apart. 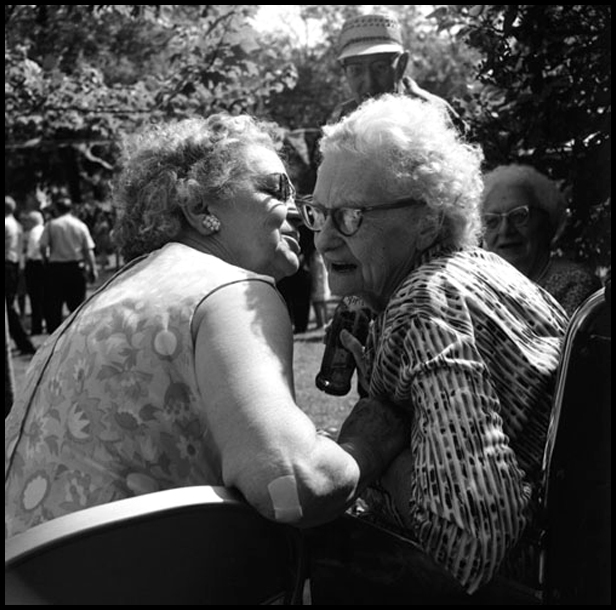 As you saw in the first of my pictures included in this essay, I’ve been attracted to that subject myself, and I’ve seen examples of it in the work of many of the top street photographers, but none seemed to be attracted to the extent that Ms. Maier was. My own interest stems from the fact that I can’t figure out how they do it, how they can be so relaxed and let their guard down and just nap any time, any where. I’m too paranoid to even consider doing that. What follows is a group of strong and varied examples of Ms. Maier’s work in this strange — and foreign to me — category. 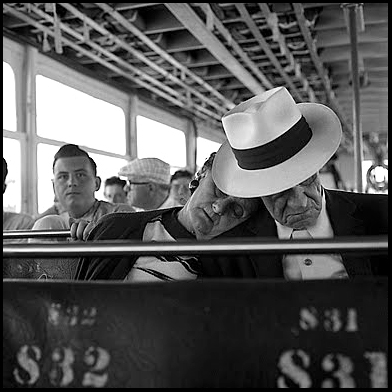 The bulk of Vivian Maier’s work is still being archived and dribbles out on various blogs and websites. The strange fact is, even Ms. Maier herself never got to see a large section of her own work. At her death, in 2009, there were still scores of rolls of undeveloped film discovered amongst her belongings. It is not known if many — or for that matter, any other — people saw her work while she was alive. It seems that in life she was introverted and shy about her work, and shy about her self as well. A French Catholic, Maier had apparently arrived in New York as a young girl in the 1930s, where she worked at various menial jobs and learned English at the theater. Eventually, she settled in Chicago and worked as a nanny for three boys in one family. Recently, one of those boys, grown up now and responding to an interviewer, said, “She had a peculiar personality. She would bring home a dead snake to show, or convince the milkman to drive us to school in his delivery truck. We loved her.” She had no family that anyone knew of, and never took a single personal call at the house where she worked for a decade. “She wore big hats and coats, and men’s shoes, and thought of herself as a film critic.” As the children grew up, Maier moved on to nanny for other families, but by the 1990s, she was homeless, and fortunate that the three boys she had originally looked after were able to help. They bought her an apartment and paid her bills until she died. 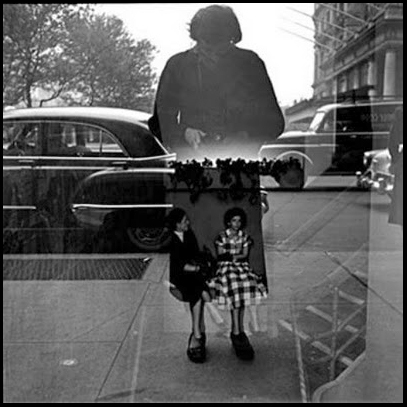 The story of the discovery of Vivian Maier’s work is absolutely fascinating, one that begs to be captured on film as a fictional drama or a documentary. (See the sidebar tab “Photography” for links to several of the blogs and websites which offer more details of the story, and more photographs, altogether much more than I could hope to cover in this short essay.) 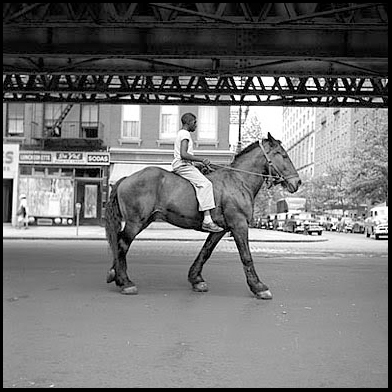 But I’m sure, based on what I know of her work so far, that the day will come when Vivian Maier’s work is considered to be at or near the level of other great street photographers of her era. One of the three brothers she took care of when he was a child recently said that Vivian Maier was a hoarder: newspapers, magazines, rubber bands and all kinds of other stuff. 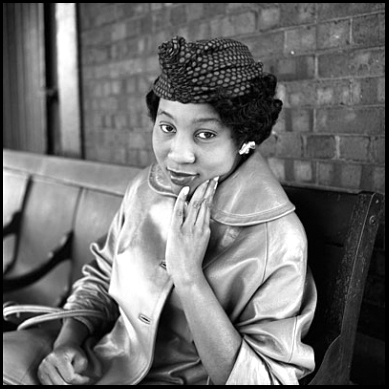 Now, thanks to the good work of the folks who discovered and are cataloging and displaying her work, she’ll be remembered not for being a bit eccentric, but for her work as an important street photographer. We now know that during that era the other things she collected were thousands of beautiful and emotionally rich images — and now, shy or not, she’s sharing them with a much wider world. Lucky us. 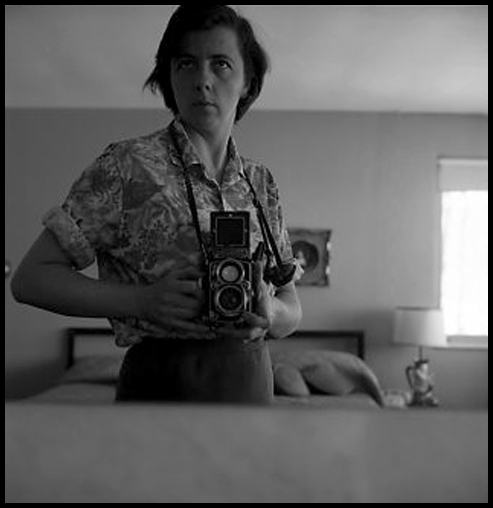 A special thank-you goes out to my New York friend Jacquie Roland for alerting me to the camera work of Vivian Maier. This entry was posted on Wednesday, January 26th, 2011 at 7:21 am and is filed under art, essays, kids, photography. You can follow any responses to this entry through the RSS 2.0 feed. You can leave a response, or trackback from your own site. Fascinating photos, Jim. I’m not technically qualified to comment on composition, etc., but I can only tell you whether I like a given piece or not . . . I like Ms. Mair’s photos. Yours, as well. I have some photos that might tickle your fancy. They’re definitely “street” photographs by amateurs like myself . . . Anyway, great article. Wow! I loved the whole piece! The photography, the writing, the comparisons. I so love photography but must admit I’m not very good at it. It takes time, patience and creativity. While I do have a small amount of creativity . . . time and patience with three little ones is hardly available. I only, once in a great while, end up with a picture that is really grand. P.S. Do you do natural photo shoots? I’d love to get some grand pictures of my family. I’d love to see those photos, Jake. Hope you’ll send them along. I’m always looking for good visual material for DoodleMeister.com . . . as well as your wonderful personal essays. 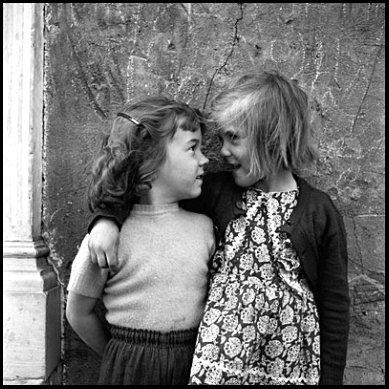 Glad you enjoyed Vivian Maier’s photos, Angi, and also my little essay on her work. I really appreciate your comment. Perhaps the next time the boys are in town in good weather we can schedule a photographic outing . . . my rates are very reasonable . . . Fascinating! I loved her subtle self portraits. 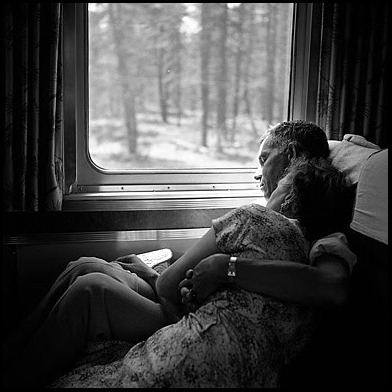 Something about an observer, such as she was, in a shy interaction through the lens. Both an interaction in life that one cannot be part of without disturbing it, while at the same time recording that one was part of it. I wonder if the act of taking the picture was enough for her. And now you show her existence and observations. My heart swells as I read your story and see Vivian’s work. Far greater than a headstone. This is very late in coming, Ms. Connolly, and I want to apologize for missing the earlier opportunity to thank you for your very nice comment. I hope you’re still in touch with doodlemeister.com so you’ll see this.